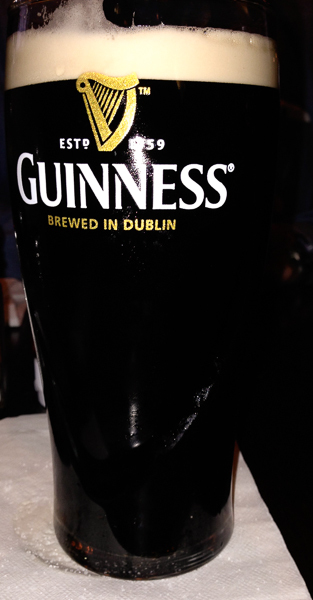 It even looks like a pint of Guinness. Other than drinking green beer from 7:00 a.m. on, a LOOONNNGG time ago my first year at college, Saint Patrick’s Day has always been sort of hit or miss for me. There have been some nice dinners over the years, or we might make something special at home, such as soda bread with lamb stew or corned beef. But, generally Saint Patrick’s Day is usually just another workday. This year; however, is entirely different. Since Saint Patrick’s Day falls on the 17th of March, that means it’s only 4 days away from the official first day of Spring on the 21st. That’s right, you read it here first, Spring starts next week. Hot diggety dog! And that’s after one of the, if not the coldest winters ever in the Washington, DC area. 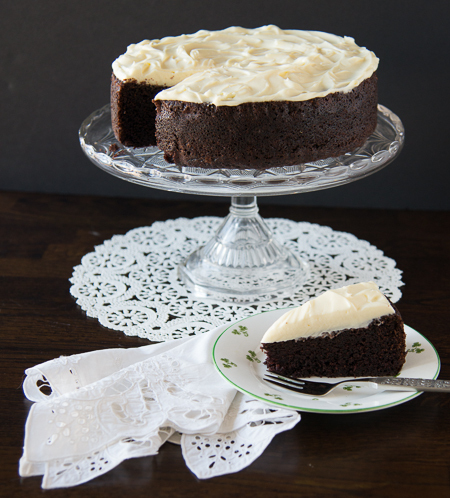 So pour yourself a pint, make this cake, and enjoy both while going though a stack of gardening catalogs, as I did. We’re almost there. You will achieve the best results if you use a kitchen scale and the original metric measurements. However, I realize not everyone weighs their baking ingredients so I have included the U.S. measurements as well. Preheat the oven to 350 and butter and line a 9-inch spring form pan. Pour the Guinness into a large wide saucepan, add the butter, and cook over medium heat until melted. Off the heat, add the cocoa and the sugar to the pan and whisk to blend. In a separate bowl, whisk the eggs with the sour cream and the vanilla and add to the pan. Whisk in the flour, soda, and salt. Pour the batter into the lined pan and bake for 45 minutes until a toothpick or cake tester comes out clean. Cool the cake completely on a cooling rack, before removing from the pan. 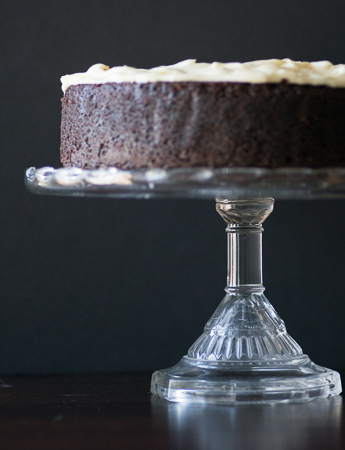 Once the cake is cool, place it on the platter or cake stand you plan to use and make the icing. Place the powdered sugar in a food processor and pulse to break up any lumps. Add the cream cheese and cream and process until smooth and spreadable. 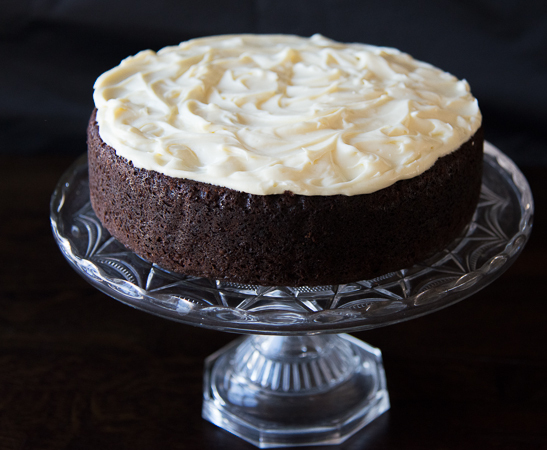 Ice the top of the cake, making swirls with the spatula to resemble a frothy pint of Guinness. 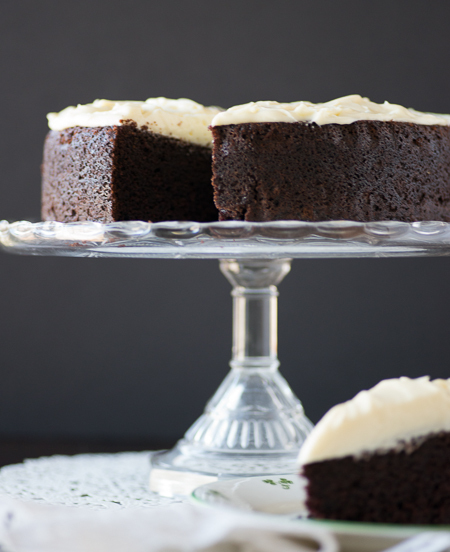 This entry was posted in Cakes and tagged cake, chocolate cake, cream cheese, cream cheese frosting, Desserts, Guinness, Saint Patrick's Day by Jeannine. Bookmark the permalink.